Airport pick-up and hotel transfer with a private guide and vehicle. 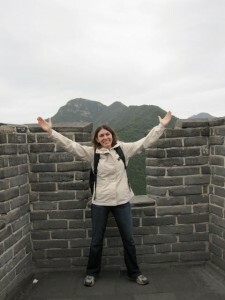 Visit the Mutianyu Great Wall, the most spectacular section of Great Wall, by a round way cable car. After lunch (Xin Shuang Quan Restaurant ), visit Summer Palace and enjoy a cruise in its Kunming Lake. Then leave for the Silk Factory and Bird’s Nest and Water Cube. Morning tour in the Tiananmen Square, historically significant to China; and the nearby Forbidden City palace (Hall of Clocks and Watches included); and the Temple of Heaven. Lunch at Green Flower Porcelain Restaurant. Finally, be transferred safely to airport. Wish you a pleasant journey home!